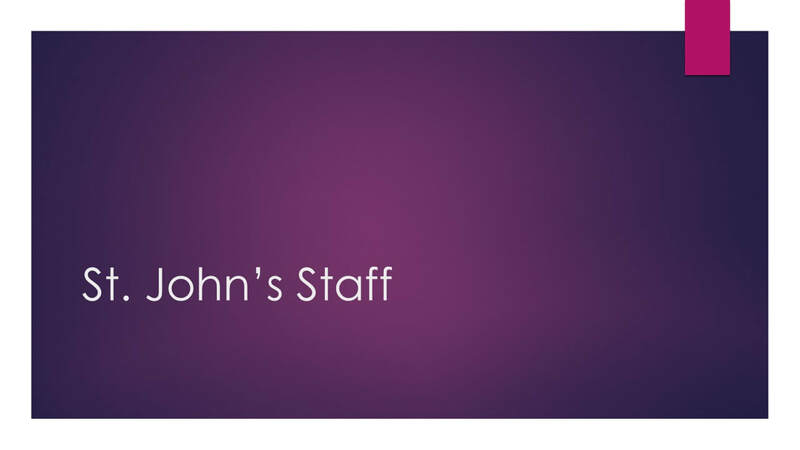 ​is a first-time visit to St. John’s, you can trust you will be welcomed. Featuring our traditional music program led by St. John’s Chancel Choir, ​under the direction of our Minister of Music, May Schwarz. Featuring Christian education programming for children, families and adults, ​as well as coffee and fellowship in our Welcome Center. Featuring our new modern music program, led by Worship Pastor, ​Dan Clark, and St. John’s Contemporary Worship Band and Vocalists. Parking: Plenty of FREE parking is available in the Franklin County Parking Garage, to the west side of the church. Children are welcome in our worship services at 9am (traditional) and 11am (contemporary). Nursery care is available all morning (8:30am - 12:30pm) for infants and toddlers by professional, first aid/CPR certified caregivers. Children of all ages are welcome to attend “Holy Moly with ​Miss Mary” during the 11am sermon time. ​open minds and open hearts.